Futures for the Dow Jones Industrial Average today (Wednesday) forecast an 81-point decline ahead of today's monetary policy statement by the Fed Open Market Committee. The Dow's decline comes as oil prices slipped again and shares of Apple Inc. (Nasdaq: AAPL) fell nearly 3% after the tech giant announced yesterday its iPhone sales grew at the slowest pace since its product introduction in 2007. The firm also provided forward guidance that failed to meet analyst expectations. Yesterday, the Dow Jones Industrial Average gained 282 points as oil prices surged on renewed optimism that OPEC and non-OPEC producers will collaborate to curb production and reduce the global supply glut. The Dow Jones received a strong boost from blue-chip stocks including 3M Co. (NYSE: MMM), Johnson & Johnson (NYSE: JNJ), and Procter & Gamble Co. (NYSE: PG). 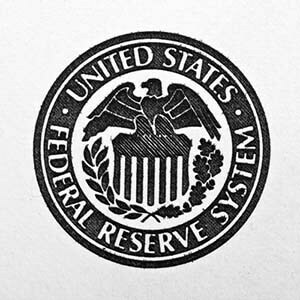 The Stock Market Today: Traders will be keeping a tight eye on Janet Yellen and the Federal Reserve as the central bank makes its interest rate announcement later this afternoon. In addition, markets will react to a report on new family home sales and the weekly report on oil inventories from the U.S. Energy Information Administration (EIA). 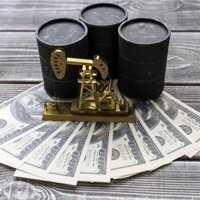 Oil Outlook: Oil prices fell again after the American Petroleum Institute announced last night domestic crude oil supplies increased by 11.4 million barrels last week, raising new concerns about a global oversupply. WTI prices fell 1.8% to reach $30.88 per barrel. Meanwhile, Brent oil crude – priced in London – was off 0.3% at $31.69. At 10:30 a.m., the EIA will announce its storage calculations. Earnings Report No. 1, BA: Before the bell, shares of Boeing Co. (NYSE: BA) slipped 6.6% after the firm fell short of fiscal fourth-quarter earnings expectations and Wall Street guidance projections. The global plane manufacturer was expected to report per-share earnings of $1.64 on top of $23.4 billion in revenue. Earnings Report No. 2, EBAY: Shares of eBay Inc. (Nasdaq: EBAY) are down 0.2% ahead of today's fiscal first-quarter earnings report. The online retailer is expected by Wall Street to report per-share earnings of $0.49 on top of $2.3 billion in revenue. Earnings Report No. 3, QCOM: Shares of Qualcomm Inc. (Nasdaq: QCOM) are in focus as the company plans to report first-quarter earnings after the bell. The report comes on the same day that active investor Starboard Value announced it sold five million shares of the storage and data protection company. Wall Street expects the company will report per-share earnings of $0.90 on top of $5.7 million in revenue. Additional companies reporting quarterly earnings include Facebook Inc. (Nasdaq: FB), Texas Instruments Inc. (Nasdaq: TXN), Biogen Inc. (Nasdaq: BIIB), and Las Vegas Sands Corp.(NYSE: LVS). Stocks to Watch No. 1, FIT: Shares of Fitbit Inc. (NYSE: FIT) were up nearly 3% after Citigroup Inc. (NYSE: C) began coverage of the stock. The investment bank initiated coverage with a "Buy/High Risk" rating and projected the firm is poised to see strength in the next year thanks to a new product cycle. Stocks to Watch No. 2, TRIP: Shares of TripAdvisor Inc. (Nasdaq: TRIP) slumped 5.5%, while shares of Priceline Group Inc. (Nasdaq: PCLN) slipped nearly 3.5% after Goldman Sachs Group Inc. (NYSE: GS) slashed both online travel sites' stock ratings to "Sell." Goldman's analyst team said the current market for travel companies has become "harsher" and that a rise in competition is affecting both firms. Stocks to Watch No. 3, T: Shares of AT&T Inc. (NYSE: T) fell 2.4% after the company met Wall Street EPS expectations of $0.63 but still fell short of revenue estimates. The telecom giant said competitive pressures are weighing on the firm in the wireless industry, including a decline in subscribers.